Tuesday’s wet weather in the L.A. basin and valleys brought more than sorely-needed moisture to a parched SoCal; it also carried the promise of snow in the higher elevations. Right on cue, this weekend will see the 51st edition of Ski Dazzle, the Los Angeles Ski Show & Snowboard Expo, taking place Thursday through Sunday at the Los Angeles Convention Center’s South Hall, 1201 S. Figueroa St.
More than 250 exhibit booths showcasing ski and snowboard retailers and more than 50 local and national winter resort representatives will be on hand to offer special bargains and help tailor a perfect wintertime excursion. The $6 million event brings an opportunity to save hundreds of dollars on brand name gear and resort deals, provided by local retailers and industry vendors. This family-friendly show will feature season pass and lift ticket specials, free entertainment and film previews. 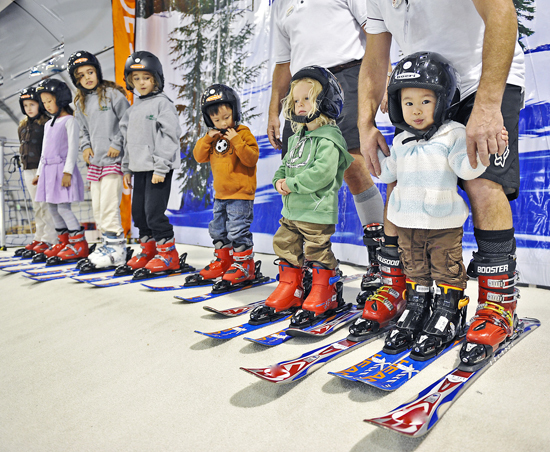 Expo admission includes daily free events such as continuous ski lessons on a 60-foot Snow Summit Ski School ramp, a new Riglet Park snowboard learning center for kids ages 2-8 from Bear Mountain and Burton, a two-story high pre-season fitness climbing wall, the 30-foot-tall Snowzilla Apline Slide, and the Taste of Winter cooking demos. The show will also offer all attendees a variety of free lift ticket offers from Brianhead, Utah, Bear Mountain, Mt. Baldy, Mountain High, Snow Summit and Snow Valley. 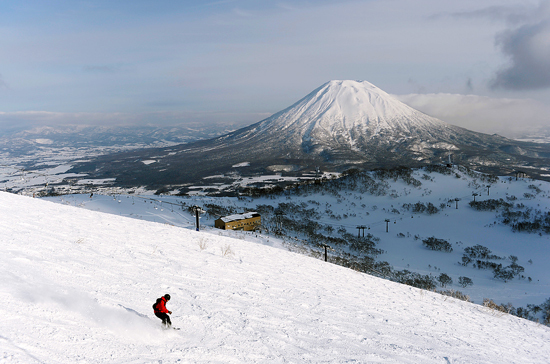 The newest resort exhibitor to Ski Dazzle this year is a resort group from Japan’s northernmost main island, Hokkaido. Ski Dazzle admission tickets are available in advance online or during the show: $20 for adults, $5 for children 6-12 and children 6 years and under are free. 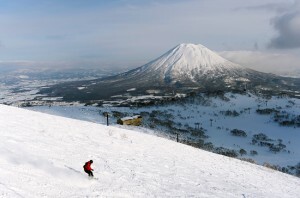 For more detailed information or to buy tickets, visit the Ski Dazzle website. For directions and parking information, visit the L.A. Convention Center website.